Enjoy a year's worth of math and literacy worksheets. 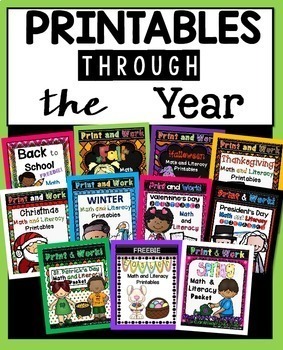 These printables will get you through the busy times of the year with hands-on and engaging activities. If purchased separately, these would cost $51. Buy this bundle and SAVE 30%!